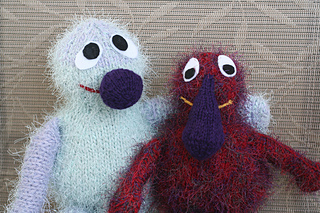 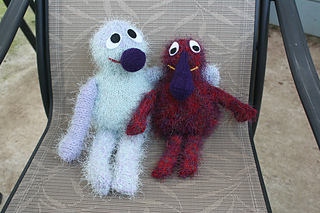 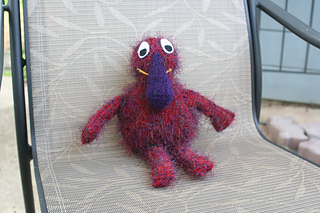 This fun monster can be knit up in worsted weight yarn held together with an eyelash yarn OR in bulky weight yarn held together with an eyelash yarn. 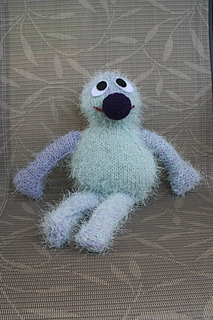 Pattern directions are given for both weights of yarn. 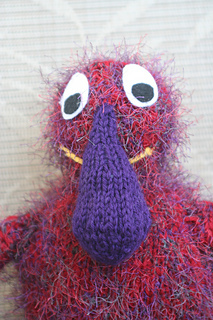 Pattern includes two nose types as well: round or long. 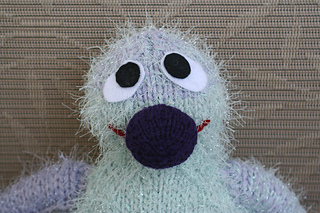 See samples for ideas on how to customize YOUR Customizable Monster!